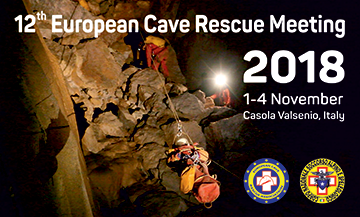 The 12th European Cave Rescue Meeting is going to take place in Casola Valsenio, Italy between 1st – 4th November 2018. Organized by Corpo Nazionale Soccorso Alpino e Speleologico on behalf of the European Cave Rescue Association. The aim of this year’s European Cave Rescue Meeting is to improve the perception of European Cave Rescue Association in a wider caving public. Therefore, this year’s meeting will be organized together with the big caving meeting in Casola Valsenio – Speleopolis. Since the 1st ECRA meeting we work hard to achieve stronger collaboration and cohesion inside group. In this moment, altogether 19 organizations from 16 different European countries are ECRA members. Thanks ECRA is strong collaboration inside Europe between different cave rescue services already reality. 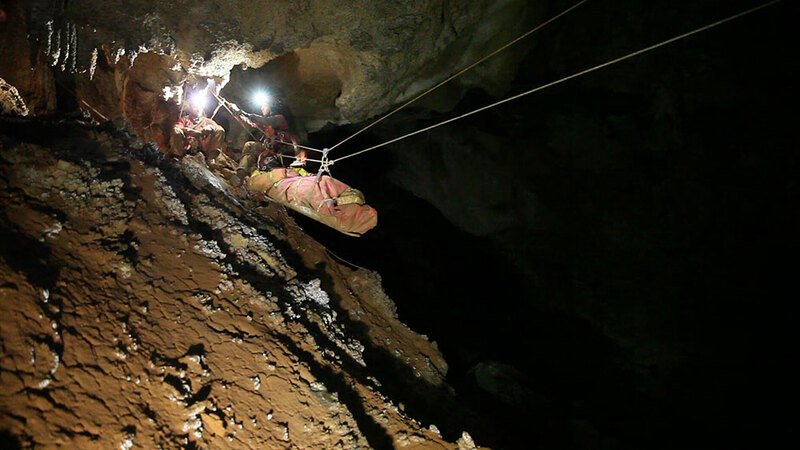 Cave rescuers are cavers, the main “power” that pushes ECRA forward. However, we have the impression that the wider caving publicity is not enough informed, what ECRA is really about, what has already been done to improve cave rescuing and safety in caving. This year we saw a great opportunity at the notable annual meeting of the Italian caving federation (Societa speleological Italiana) in Casola Valsenio, where more than 2000 cavers worldwide will attend, to be there and to open our door to cavers. Highly specific and professional topics for cave rescuers as we do every year. Achievements in each field with some important remarks for safe caving for wider caver public. We will discuss about some important issues as being part of EU civil security, ECRA web, cave rescue education, joint international exercises, cave rescue services in case of big earthquakes/catastrophes. Soon more information will be available. Pease visit our website – www.caverescue.eu or send us an email on info@caverescue.eu. Please note the date for ECRA meeting in your diary! 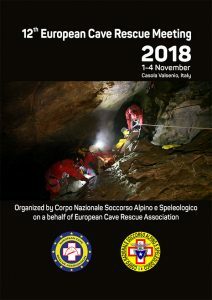 First Circular for the 12th European Cave Rescue Meeting, Casola Valsenio, Italy 2018, in pdf format. All event locations can be reached within 5 minutes. The total participation fee is 50 EUR and can be paid during registration of participants. 30 EUR will be paid for registration for Casola 2018 meeting and additional 20 EUR will be paid for ECRA meeting. Participation fees include accommodation, breakfast, lunch, dinner during ECRA meeting. Organizer of Casola2018 will provide accommodation including all additional facilities for accommodation and for workshops while CNSAS/ECRA will provide meal during workshops. Accommodation is on improvised campsite of meeting place is available. Please take your own campsite equipment. The official language of the European Cave Rescue Meeting 2018 is English. All presentations should be written in English. No simultaneous translation will be provided.